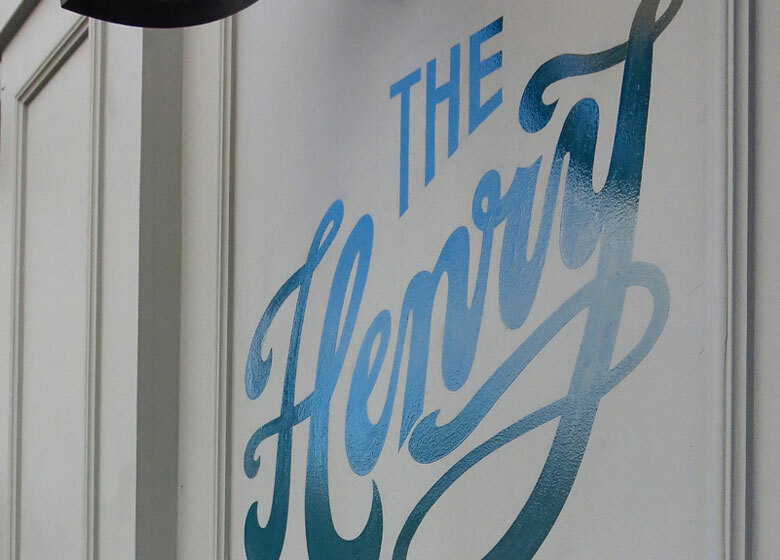 Sam Fox is bringing beloved Phoenix favorite The Henry to a storied stretch of Robertson Boulevard in West Hollywood. With construction workers and restaurant staff buzzing around the nearly completed new location, the creative mind behind Fox Restaurant Concepts sat down to talk about the origins of The Greatest Neighborhood Restaurant. Thinking back on the original Henry in Phoenix, how did it come to be? We initially had our offices above where three of our restaurants were. We had Sauce, which we owned at the time, Olive & Ivy and Culinary Dropout at the Scottsdale Waterfront, and I lived in a high-rise condo right there. I’d walk to work and I’d visit all the restaurants. I loved the urbaness of it but I also loved how connected we were, being around all of our employees and all of our guests everyday. Eventually we outgrew our offices and around that time I moved to a house in Arcadia which is about two blocks from where our office is now. I was looking for space to emulate what I had been doing for the last five years. 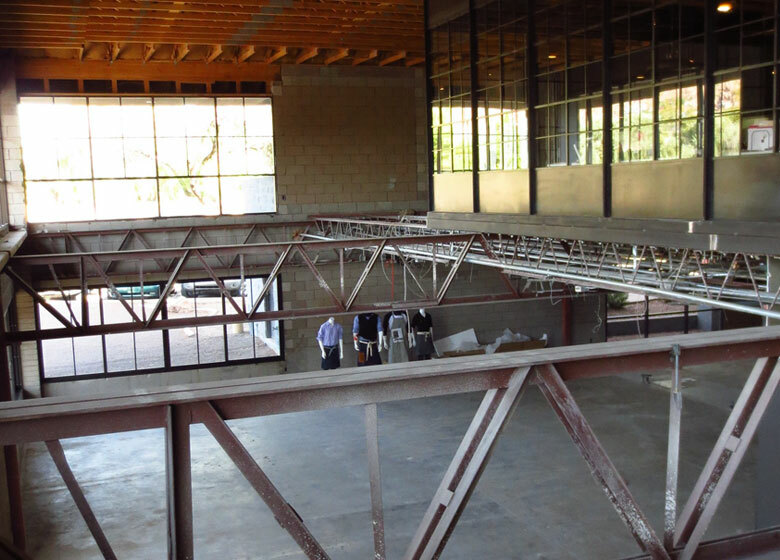 I found a building that was 22,000 square feet and I thought, “This is going to be great, this is our space. We’re going to do it. We’ll have our offices, I’m going to build a restaurant, a test kitchen, we’ll have everything here.” Our financial guys in the office said, “You’re crazy. We’re going from 5,000 square feet to 22,000,” But we did it; we leased the whole building. We just wanted a place that you could go to everyday. I was going to be there everyday, so breakfast, lunch or dinner, that’s what we decided to do. We wanted to build a restaurant that was a place you could go for any occasion. We were in the office for a year before the restaurant opened which helped us understand a little more about what we wanted to accomplish. It really started to take on a life of its own. There was this little stairwell and I thought, let’s put in a coffee bar. We built the test kitchen which was really important to us as well so we could work on menus and not have to travel to restaurants for tastings. It’s been a crazy ride over the last five years. And where does the name The Henry come from? We were remodeling a home around the time we were moving into the new office and we were going through some fixtures for one of our bathrooms that were by Waterworks and the line was called The Henry. I looked at the fixture and it felt like what we were doing at the restaurant; how we were designing the inside. It was old, it was new, it was sort of post-modern meets Ralph Lauren. That really was the inspiration for the name and restaurant. It was that water fixture, which is kind of crazy. Like I said, I don’t have a formula. It just sort of happens. And conceptually, what was the thinking there? The concept was like a daily grill. I wanted some of the better items that we had on our other menus. I wanted stuff that was very American grill, a place that you can go to and get a burger, you can get an incredible steak, you can get fresh fish, or you can get a salad. You can get any of that at any time. You can come in the morning and get coffee, get a real casual experience at the coffee bar. Brunch on the weekends, which is more of an event than we thought it would turn out to be. We’re doing seven hundred people for brunch on Saturday and Sunday. You know, I didn’t really have a description about what I wanted it to be. We just kept working on it and were like, “Let’s do this, let’s do this, and let’s do this”. There wasn’t necessarily a business plan or a great, grand idea. It just sort of happened. Does the restaurant creation process start with the food, the location, an idea? It can start with anything. It can start with the food or menu; it can start with the design; it can start with a building, an idea, or a location. I would say with The Henry it all happened together. We wrote the menu, and kept tweaking it; we had a bunch of variations. And then, it just kind of evolved. We continue to change it a lot too. In fact, when you see the new menu for The Henry West Hollywood it looks like only half the menu than it is at The Henry in Phoenix. So, it keeps evolving. Interiors are a huge part of Fox Restaurants, is that something you do and enjoy doing? Yeah, I drive all of the design and the look and feel and continue to push on our team to evolve when I want to evolve or stay when I want to stay the same. That, once again, is like the menu process. There is no formula. It can start with an idea; it can start with a picture; it can start with a swatch of fabric; it can start with a theme; it can start with a mood; it can start with the architecture of a building and what it wants to be. So that just happens slowly and then changes; it evolves a lot. The first location isn’t always the one you would do again because it’s the first one. This second Henry is probably pretty close to what we want it to be. There’s a third one that we’re working on in Dallas and that space is different in how it feels. I don’t want it all to be exactly the same. You are sitting here in West Hollywood. This is the second edition of The Henry. How did this location come about? Did you always know you wanted to do another one? Well no, there was never really ever going to be another Henry. And over the last couple of years so many people come to the Phoenix location and asked, “When are you opening up another one? I’d entertain developers and real estate people from all over the country in my office, which is above The Henry, and everyone would say, “When are you opening up another one?” You know, it’s so specific, I didn’t think we’d ever do another one. But, maybe one day we will. And so, I get a call from my real estate broker and she said, “Hey, let’s look at this space. I want to take you by, I think it might be good for The Henry.” So, she drove me out, I was in LA touring it with her, and I was like, “That’s the old Newsroom Cafe space! I’ve been here over one hundred times in my life”. Great juices, you could just grab a magazine. This is an unbelievably iconic space. So I said, “Let’s do it.” We worked on the deal which we eventually lost, and a year went by. They were working with someone else. No need to tell the name, but another restaurant. They wound up not being able to come to terms down the road, so they called us up and said, “Hey, if you can make us a deal in 30 days, we’ll do a deal with you.” So, we came here, met with the ownership who own this whole building, spent some time with them, and they turned out to be great. I didn’t know there was going to be a giant renovation of the plaza, so it actually coincided with that, which is amazing. I feel like it was meant to be. I know this place well. I know the area well. I think it checks all of the boxes of what we want to be. It’s in a business area. It’s in a neighborhood. I’m excited; you’re going to see a lot of new things happening on this street and we’re going to be a part of that, bringing back a lot of what was here. What are the major differences between the West Hollywood and Phoenix locations? I think the biggest thing is the indoor/outdoor bar. This location has such a bigger bar area than the other Henry, so I think you’re going to see more wine and cocktails at the bar than what we have now in Phoenix. Other than that, there are a lot of similarities, just some slight tweaks to match the era of this building. And a big, big patio. We have cafe seating, and then in the front by the bar we have lounge seating. We kind of have three identities on the patio. A couple different identities inside with the bar and coffee. I think it’s important to have a lot of personalities in these stores. So, this restaurant carries all of the different personalities of the original Henry, but I feel like the personality will be a little bit bigger in the bar department.